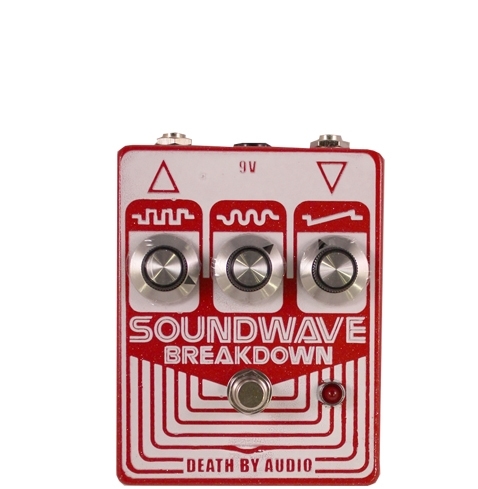 The Soundwave Breakdown takes the idea of a screaming fuzz pedal and turns it inside out utilizing specially matched transistors turned backwards to get it's bombastic sound. 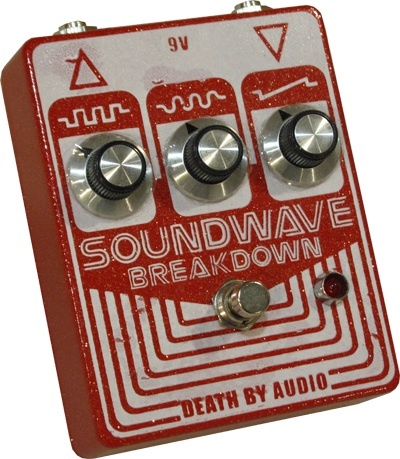 The one knob controls extreme biasing of one of the transistors and the other controls intense filtering. 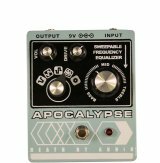 The combination of allow a vast universe of fuzz | distortion | buzz | grind | bleeps | synth sounds | and soundwave manipulation. The exact positions of the knobs yield completely different sounds. Be forewarned, it is only balls to the wall fuzz all the time.